As one of the original providers of web-based PACS nearly 20 years ago, Fujifilm Medical Systems U.S.A., Inc., announced continued innovations to Synapse 5, the company’s PACS technology, as well as other comprehensive medical informatics solutions. Synapse 5 now features an advanced server-side imaging architecture that is the result of continued evolution of the company’s enterprise imaging platform. The latest offering of Fujifilm’s comprehensive Synapse line of solutions, which includes VNA, CVIS, 3D, RIS and mobile offerings, are designed to enhance collaboration and optimize workflows across healthcare facilities. Designed with speed and functionality as top priorities, Synapse 5 provides on-demand access to massive datasets and the ability to immediately interact with the data. Advances in efficiency and ergonomics facilitate productivity and a better overall user experience. The latest design includes server-based image rendering and a zero-download viewer with browser and operating system flexibility, resulting in significant IT benefits. Integrated diagnostic breast tomosynthesis and MPR/Fusion eliminate the need for disparate workstations or separate applications to complete workflows. “Our Synapse solutions provide core technology to allow health care organizations to deploy an Enterprise Imaging strategy that addresses modern IT architecture needs, security, cost saving operational efficiencies, physician needs, improved outcomes and diagnostic imaging excellence,” Lacy adds. 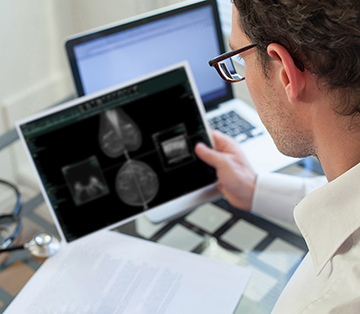 Synapse VNA enables secure access, management, distribution and visualization of DICOM and non-DICOM images and clinical data from any departmental system. Synapse VNA is unique in its multiple methods of EHR patient associated content capture and its ability to store content in its native format. Synapse RIS is a full-featured, workflow management system that is fully integrated with Synapse PACS. It features an advanced Scheduling Intelligence Engine, patient portal, business intelligence analytics and has a flexible architecture with modern interoperability standards, allowing practices to easily integrate with physicians in their community. Productivity-boosting tools include universal worklist and paperless consent forms. For more information, visit www.fujifilmhealthcare.com. Fujifilm Expands Medical Informatics Solutions. Appl Radiol.